"Anything goes in this city"
A little off the beaten track, but definitely worth the hike out to Miramar’s 5th Avenue. This small venue, imbued in a purple glow, is the city’s best spot for jazz. Roll up for Cuba’s piano maestro Ernán López-Nussa, brothers Harold López-Nussa and Ruy López-Nussa, and the talented Aldo López-Gavilán. It’s notoriously difficult to find out the schedule but persistence will pay off! Avenida 5, corner of Calle 94, Miramar. Tucked into a floodlit garden of a handsome home in Havana’s Miramar district is hip Espacios. This bar-restaurant is the place to swing by to mingle with artists, writers, singers and Cuba’s creatives who slug cocktails deep into the early hours. Pick from their tapas menu, but this is primarily a place to drink, talk with friends, catch the chilled grooves, and lounge alfresco through a humid Havana night. Calle 10 No.513 between Avenida 5ta and Avenida 7ma, Miramar. 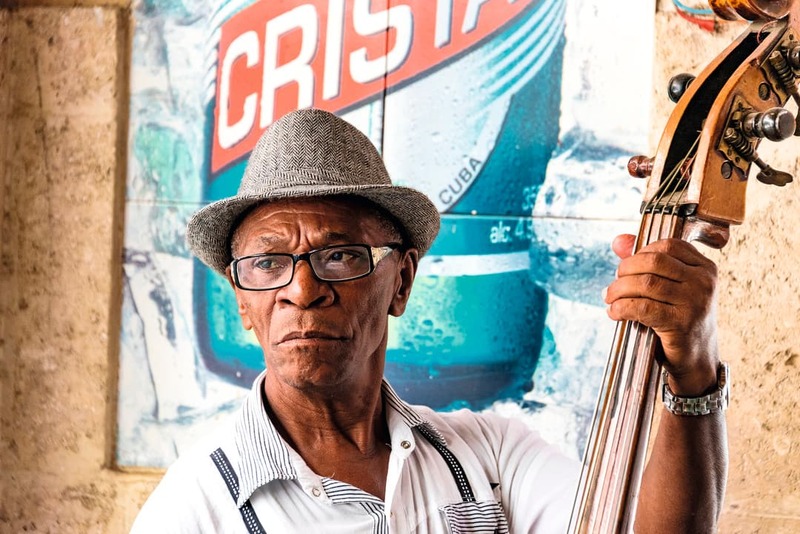 Havana’s dazzling hub of music, bars, theatre, and photography housed in a giant converted peanut oil warehouse, is the perfect place to mingle, drink and people watch. Check out the avant-garde photography and sculpture and enjoy al fresco drinking in this den of creativity run by Cuban musician X Alfonso. Havana chef Liseth Rodríguez Martínez’s new Tierra restaurant is due to open serving up global cuisine. Drink purchases are marked on a card, and you pay your bill on exit. Calle 26 corner of Calle 11, Vedado. Every Havana visitor swings by Ernest Hemingway’s haunt, right on the edge of Old Havana, to sip on an ice-cold daiquirí frappé. 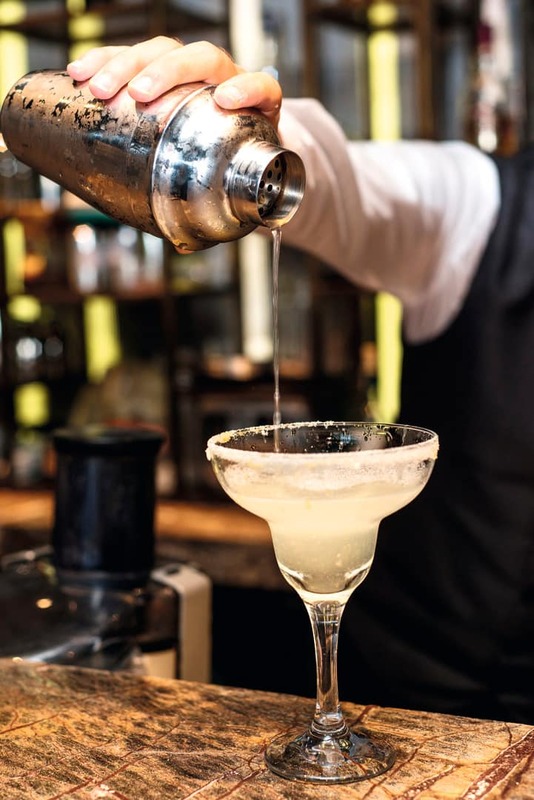 Legend says that the American novelist would pitch up to the long bar and order his daiquirí, made by bartender Constantino Ribalaigua Vert in the 1940s. You, too, can imbibe the atmosphere, imagine the Hollywood starlets who drank here, pull up a bar stool, have your picture taken with Hemingway’s bronze bust in the corner of the bar, enjoy the live band, and savour one of Cuba’s most famous drinks. Calle Obispo, corner of Calle Monserrate, Old Havana. This snug bar on one of Old Havana’s main streets is a perfect day-thru-night spot for its tangy ceviche, gin aperitifs, and colourful cocktails served in jars. Owner and artist José Carlos Imperatori has created a lively buzz down here in the old town where experimental creatives and entrepreneurs are regularly seen propping up the bar. Imperatori’s new bar-restaurant El del Enfrente, across the street up on the first floor has just opened, and there’s a small salsa school opposite, too. Drink, dance, eat… perfection. Calle O’Reilly no.304 between Calles Habana and Aguiar, Old Havana. Havana’s cool factor ramped up with the opening of famed private restaurant La Guarida’s rooftop bar in 2014. Peering over Centro Habana’s crumbling rooftops, you can recline inside a giant picture frame sofa, or hang out at the scattered tables. Cocktails, ‘chisme’ (gossip), and tapas abound. Calle Concordia 418 between Calle Gervasio and Calle Escobar, Centro Habana. Looking for an affordable meal in the heart of the tourist district, or a late night tipple with friends? SiáKará works on so many levels. It’s a cool, artsy place decorated in antiques, typewriters, men’s ties, and with a lofty portrait of Fernando VII watching the punters from behind the bar. 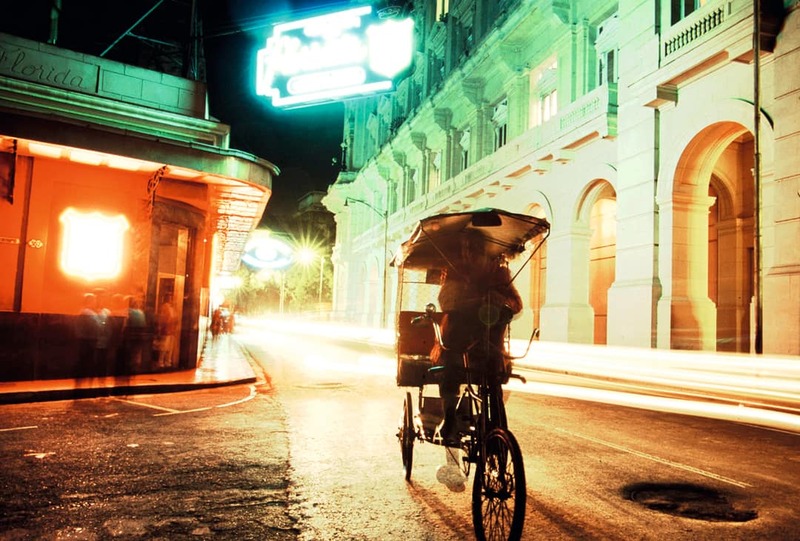 Rock up around 10pm and you’ll hear a pianist who tinkles on the ivories in this new Havana hotspot. The cosy nooks are perfect, too, for a bit of romance. Calle Industria 502, corner of Calle Barcelona, Centro Habana. 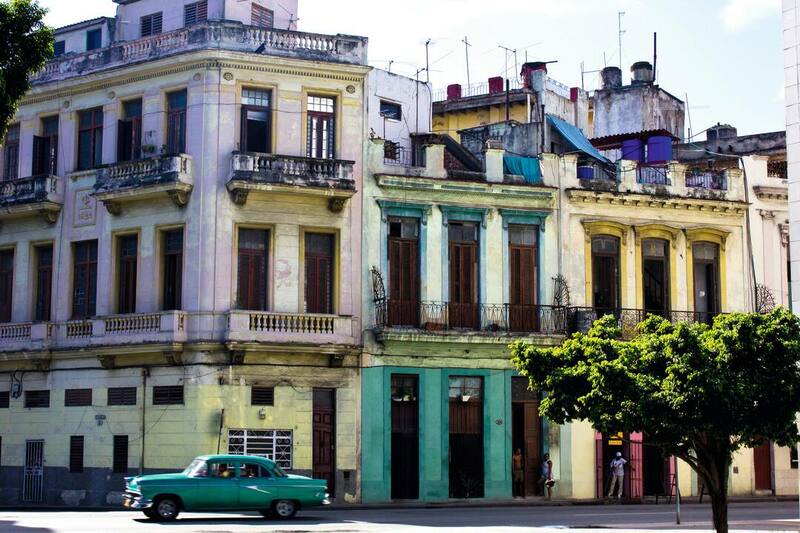 Check out all of our Cuba holidays. 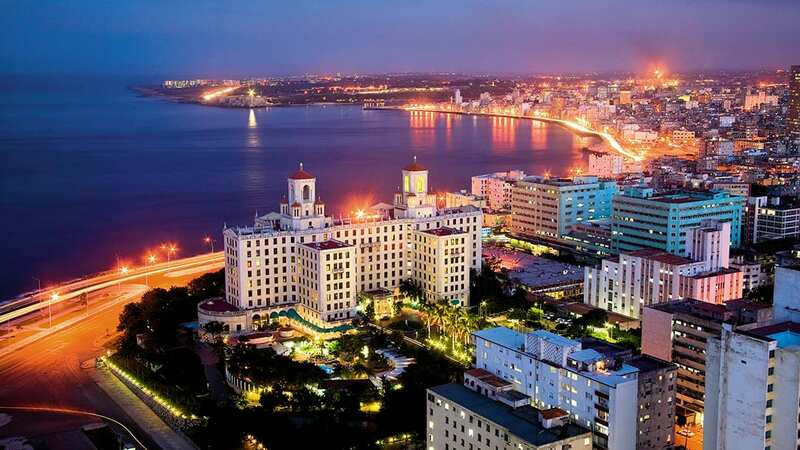 The has seven restaurants to its name, and holds a beachfront spot poking out from the Cuban coastline. Take a twin centre tour to the . You’ll get the buzz of Havana and Varadero’s beaches in one. The Paradisus Princesa del Mar has a colonial look similar to parts of Havana, and comes with a beach right on its doorstep.